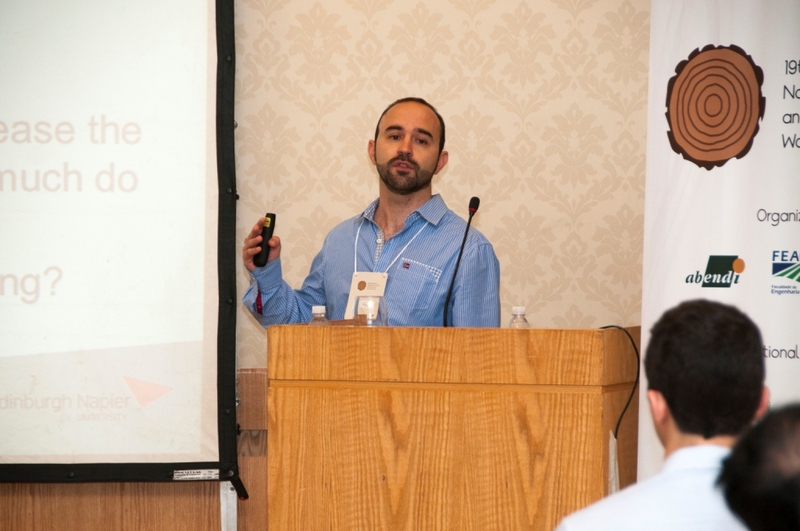 PhD student, David Gil-Moreno presented some of his research at the 19th International Nondestructive Testing and Evaluation of Wood Symposium, in Rio de Janeiro. 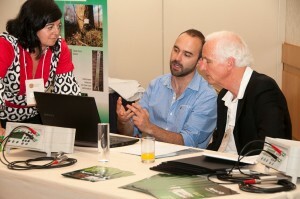 The paper presented a comparison of standard procedures to measure acoustic stiffness of standing trees and logs. The aim is to see how useful they are for predicting the properties of dry, sawn, timber for the purposes of resource segregation in industrial practice. Stress wave time-of-flight (TOF) measurements were made on 36 trees of four species. The TOF data were analyzed and compared with resonant frequency measurements made on cut logs and sawn dry timber, and, as the ultimate measurement, static stiffness measured by four point bending tests. 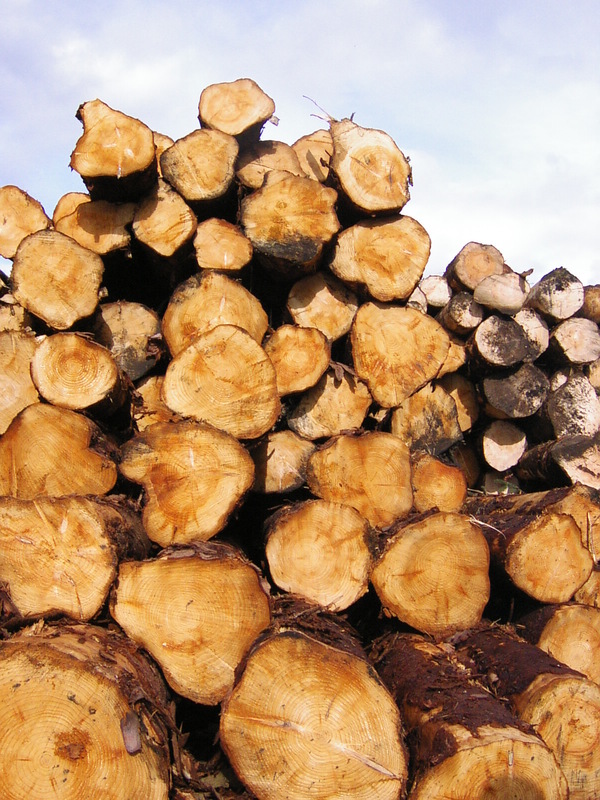 A simplified model of segregation is used to examine the relative performance of the methods to sort the better grade timber; in this case defined by mean static bending stiffness. The research reveals that lengthening the TOF distance from 1 to 2 meters improves the performance for segregation in this case, particularly when segregating the higher stiffness proportion of the timber. You can obtain a copy of the paper from Edinburgh Napier University’s research repository.